Let us take you through the process of developing a strategic and business plan that will bring to life, your organization’s vision and strategic imperatives. In today’s environment, if you are standing still, you are falling behind. Making the right decisions at the right time is critical. Following through on those decisions is challenging. In a survey of a broad section of CEOs, the Malcolm Baldrige Foundation learned that CEOs believed deploying strategy is three times more difficult than developing strategy. The leadership team’s strategic and business planning process must address the development of your key strategic imperatives and the successful execution of these strategies. The process starts by identifying your organization’s vision and mission. Your organization’s vision and mission outlines the development of your future direction, the key influences on how you operate and the key challenges you currently face. Understanding your organization’s operating environment and key customer, supplier, partner and stakeholder relationships increases an understanding of your organization’s competitive environment. Although the strategic and business planning process seems onerous or even of little value to some, in our experience, we have found that the fault lies not in the concept of Strategic Planning but rather in the process of developing the plan itself. Let us take you through the process of developing a strategic and business plan that will bring to life, your vision and strategic imperatives. The first step in the strategic planning process is for the leadership team to work together and create a compelling vision. Creating this vision and developing the strategies to achieve it is one of the most difficult challenges for many organizations. In this complex and fast-changing world, anticipating the future can be very difficult. The vision is more than just a dream. It is an ambitious view of the future that everyone in the organization can believe in, one that can realistically be achieved, yet offers a future that is better in important ways than what now exists. When the vision is clearly articulated, everyday decisions and actions will respond to current problems and challenges in ways that move the organization toward the future vision rather than maintain the status quo. Dramatic gains in overall organizational performance are often customer driven. Customers focus on how the organization’s delivery of products and services produce the results they’re looking for in quality, price, delivery, service, etc. Your organization’s success depends on your ability to satisfy your customer’s needs. In turn, this ability depends on how well the organization’s internal processes work to meet this external demand. Understanding the customer is key to determining some of the requirements for the strategic plan. How is the quality in product and service delivered to the customer measured? How do you obtain your customer feedback? What do you do with the information it provides? Ensure their “buy-in” during the Execution Planning Stage which will link the Strategy Development into Action Plans. Benchmarking is an integral part of the planning and on-going review process to ensure a focus on the external environment and to strengthen the use of information in developing plans. Benchmarking is used to improve performance by understanding the methods and practices required to achieving world-class performance levels. Comparisons to other similar and dissimilar organizations and their departments can yield valuable insights into determining the right strategies to improve overall quality, process, procedures, structure, and so on. Each member of the leadership team will present a summary of what they’ve accomplished in their own area of responsibility over the past year. As well, they will include any long and short-term problems that they encountered. Essentially, we are trying to set the stage for understanding the past so that we can overcome the obstacles, which might prevent the organization from meeting it’s vision. This stage in strategy development engages the leadership team in thinking about their view of their department and areas of responsibilities and related positions. Reports collected from customer feedback and employee input and involvement will help understand the current situation. Results from all Benchmarking research. No matter who you are or what roles you occupy in the organization, you can form a vision of what you want to be contributing over the next several years. This requires making correct assumptions about what the organization will be like, and about your potential for making unique contributions, over the next 2-3 years. Leadership engagement in discussing these issues is essential to the strategy development process because success depends on the understanding & commitment of everyone involved in making the vision a reality. The key strategies will aim to close the gap between the present situation and the “ideal future”. Essentially, these strategies will translate the vision of what the organization is trying to become in the customer’s eyes into reality. It is the framework, derived from an understanding of the customer’s needs, that describes the goods and services the organization is offering, to satisfy customer needs and expectations. Ultimately, all employees must be able to understand, accept and adopt these strategies. and Critical Thinking Skills. Discussions among the leadership team takes time as ideas are thrown out, discussed, weighed and evaluated. 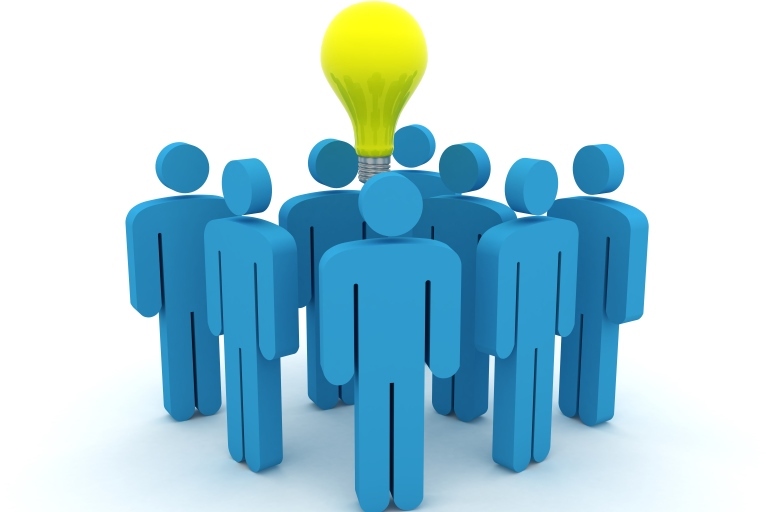 It is important that the leadership team not eliminate any ideas too quickly. Rather, they should combine all ideas into key strategies and allow the balance of this strategic planning process to assist in the determining which strategies should be included in the short-term plan and which are better suited to a longer-term plan. Assessing risk must be a part of looking at the organization’s ideal future. It includes conducting an analysis of what would prevent the organization from reaching each of the identified key strategies. This analysis includes identifying the risks and creating mitigation plans to overcome them. The Execution Planning process begins with gaining agreement to the Objectives required to meet each of the Strategies and includes the detailed Action Plan required to meet each Objective. Then, adding performance measures to ensure that it is clear when each strategy and related objective has been met. Unless the objectives identified in Execution Plan are translated into Action Plans, it is unlikely they will ever be reached. Developing a strategic plan takes discipline, foresight, and a lot of honesty. Regardless of how well you prepare you’re bound to encounter challenges along the way. Like most everything in life, you get out of a plan what you put in. If you’re going to take the time to do it, do it right. This means having the right people involved, analyzing the business environment and setting meaningful priorities that focus on results and making sure that your people contribute to the planning and that they understand and commit to the strategies.